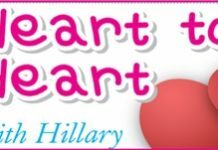 Home Blogs Heart to Heart with Hillary Viking longboat looking for oars? Viking longboat looking for oars? I plan to visit Pattaya in the near future. A friend of mine has recommended Thailand and Thai women. He said that I could learn something about the country by reading Pattaya Mail. I must say that after reading your column and Pattaya Mail a couple of weeks, I am confused and somewhat scared. What is the best way to prepare myself for meeting a nice woman? Learning Thai? Vaccination? Start in another place than Pattaya? I am delighted to hear from you, and if my column has made you just a little cautious, that is good. Unfortunately many of your fellow oarsmen rush into battle here waving their short axes (though I am told some are quite large), and get brought undone by the fair Thai ladies (though some are quite dark)! As far as meeting “nice” Thai ladies is concerned, a smattering of Thai language skills will delight the local ladies, but unfortunately there is no vaccine to stop young Vikings falling in love with something small and brown with long black hair. You have been warned. Now, to be sensible, if you are going to be here for a few weeks only, you will find many girls willing to be your (paid) guide – just don’t fall in love. If you are contemplating a long stay and are looking for your life’s partner, that will take a very long time. “Nice” Thai ladies are shy, extremely polite and live at home with their parents. They are not to be found hanging from chrome poles in their underwear. Enjoy your time here, Curious Viking, as I am sure you will.